PARENTS! Check out the Lest We Forget Mother's Day Family Festival at the American Art Museum on Saturday! Make portraits of your loved ones like the ones labor artist Ralph Fasanella did of his parents; create a bouquet of paper flowers to give to someone special; and make a decorative family tree to display in your home with artist Alyson Johnson. Get your dancing shoes on, folk band the Knuckle Dusters performs live! Enjoy a puppet performance by Wits End Puppets in the museum with your family! 11:30a-3p Saturday, May 10 at the American Art Museum (8th & F Streets NW, Kogod Courtyard); FREE. 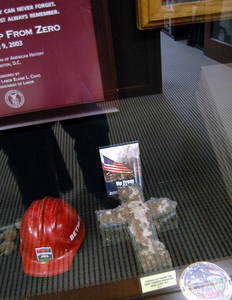 Part of the ongoing Ralph Fasanella: Lest We Forget exhibit. 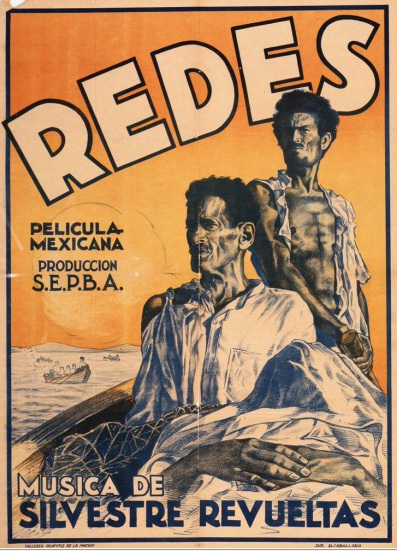 Features both music and film: Mexican popular songs, performed by the legendary singer Eugenia Leon and PostClassical Ensemble, followed by the Mexican film masterpiece Redes (1936). Play: Brother Hal: Shakespeare's HENRY V is transported to Flint, Michigan during the labor union strikes of the late 1930's and performed by a cast of actors ages 13-18. Play: Sweet Joan of the Textile Mills: Examines the plight of child labor, inspired by ideas and plot by Bertolt Brecht and performed by actors aged 8-10. Art Exhibit: Ralph Fasanella: Lest We Forget: Union organizer Ralph Fasanella celebrated the common man and tackled complex issues of postwar America in colorful, socially-minded paintings. Daily, American Art Museum (8th and F Streets, N.W.) 3rd floor North. The AFL-CIO is also hosting an exhibit of Fasanella’s work in its lobby: 816 16th St NW. 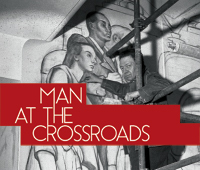 Rivera's "Man At The Crossroads": The Mexican Cultural Institute hosts a fascinating exhibit reconstructing the history of Diego Rivera's famous “Man at the Crossroads” mural at Rockefeller Center, tracing its history with reproductions of previously unpublished material, including letters, telegrams, contracts, sketches, and documents, following Rivera's commission, subsequent tension and conflict, and finally, the mural's destruction. Through May 17. Living Out: Comedic play by Lisa Loomer about working mothers, race, class and immigration status. Through May 18.